This multifaceted study of Syrian immigration to the United States places Syrians— and Arabs more generally—at the center of discussions about race and racial formation from which they have long been marginalized. Between Arab and White focuses on the first wave of Arab immigration and settlement in the United States in the years before World War II, but also continues the story up to the present. 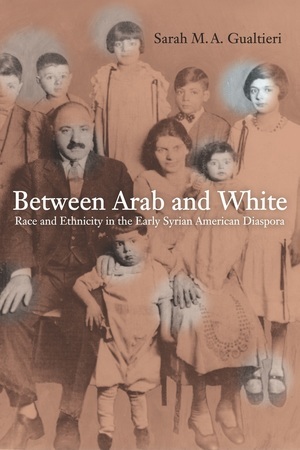 It presents an original analysis of the ways in which people mainly from current day Lebanon and Syria—the largest group of Arabic-speaking immigrants before World War II—came to view themselves in racial terms and position themselves within racial hierarchies as part of a broader process of ethnic identity formation. Sarah Gualtieri is Associate Professor in the Departments of History and American Studies and Ethnicity at the University of Southern California.